What happens in Hong Kong doesn’t apparently stay in Hong Kong. 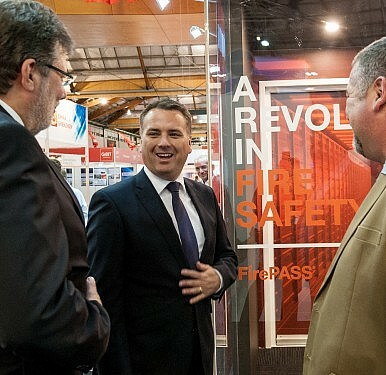 Jamie Briggs, an Australian politician from the Liberal Party, resigned from his post as federal minister for cities and the built environment in late December. The resignation came a month after a female public servant complained about his behavior during a night out in Hong Kong in late November. Prime Minister Malcolm Turnbull has been the target of criticism for his delay in shuffling Briggs to the backbench and the strategic timing of the resignation (and the almost simultaneous resignation that of Mal Brough, another scandal-touched minister) in the week between Christmas and New Years. Briggs’ statement said that after concluding business, he and his chief of staff went to dinner with several other officials. At the conclusion of the dinner (which I paid for personally) we went to a popular and as it transpired very crowded bar for drinks during which we interacted between the three of us and with others in what I believed, at the time, was an informal manner. At the conclusion of the evening, the public servant left to return home and my Chief of Staff and I returned to our hotel together. Tabloids in Briggs’ home city of Adelaide said the woman’s complaints involved “a kiss, a hug and a comment about her eyes.” But Turnbull, as the Sydney Morning Herald reported, “appeared to dismiss the idea that the incident could be interpreted as playful flirtation.” Later details claimed Briggs had complimented the woman on her “piercing eyes,” put his arm around her and kissed her either on the cheek or the neck. The Guardian reported on December 28 that Briggs said would not reveal the name of the woman “to protect her privacy and at her request.” But a few days later, he confirmed that pictures of the woman that had surfaced in the press had been taken by him and sent to others “prior to the complaint and following.” Turnbull said it was “not the right thing to do clearly,” but dismissed calls from the opposition Labor party to investigate how the pictures were leaked. This incident in particular raises a number of questions about respect for women in Australia and appropriate behavior for politicians. The text had been sparked by Maiden’s Sunday column harshly critical of the Briggs incident and had been intended for Briggs.